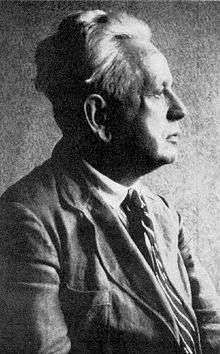 Ernst Cassirer (/kɑːˈsɪərər, kə-/; German: [kaˈsiːʁɐ]; July 28, 1874 – April 13, 1945) was a German philosopher. Trained within the Neo-Kantian Marburg School, he initially followed his mentor Hermann Cohen in attempting to supply an idealistic philosophy of science; after Cohen's death, he developed a theory of symbolism, and used it to expand phenomenology of knowledge into a more general philosophy of culture. He is one of the leading 20th century advocates of philosophical idealism. Born in Breslau in Silesia (modern-day southwest Poland), into a Jewish family, Cassirer studied literature and philosophy at the University of Marburg (where he completed his doctoral work in 1899 with a dissertation on Descartes's analysis of mathematical and natural scientific knowledge entitled Kritik der mathematischen und naturwissenschaftlichen Erkenntnis—Critique of Mathematical and Scientific Knowledge) and at the University of Berlin (where he completed his habilitation in 1906 with the dissertation Das Erkenntnisproblem in der Philosophie und Wissenschaft der neueren Zeit: Erster Band—The Problem of Knowledge in Philosophy and Science in the Modern Age: Volume I). After working for many years as a Privatdozent at the Friedrich Wilhelms University in Berlin, he was elected in 1919 to the philosophy chair at the newly founded University of Hamburg, where he lectured until 1933, supervising amongst others the doctoral theses of Joachim Ritter and Leo Strauss. Because he was Jewish, he left Germany after the Nazis came to power in 1933. After leaving Germany he taught for a couple of years in Oxford before becoming a professor at Gothenburg University. When Cassirer considered Sweden too unsafe, he applied for a post at Harvard, but was rejected because thirty years earlier he had rejected a job offer from them. In 1941 he became a visiting professor at Yale University, then moved to Columbia University in New York City, where he lectured from 1943 until his death (due to a heart attack) in 1945. In The Logic of the Cultural Sciences (1942) Cassirer argues that objective and universal validity can be achieved not only in the sciences, but also in practical, cultural, moral, and aesthetic phenomena. Although inter-subjective objective validity in the natural sciences derives from universal laws of nature, Cassirer asserts that an analogous type of inter-subjective objective validity takes place in the cultural sciences. ↑ "Cassirer". Random House Webster's Unabridged Dictionary. ↑ A second volume appeared in 1907, a third one in 1920, and a fourth one in 1957. Friedman, Michael. "Ernst Cassirer". Stanford Encyclopedia of Philosophy.